If you need marketing video monthly (or more), we’ll ship you gear & get you rolling. It’s easy as a conference call. Whether you’re telling patient stories or attracting new clients, video can make a connection. Online tech tools are fantastic IF your clients know how to use them. These tutorials take care of that. Looking for help with video marketing? We’re here to get you started. Whether you want to create videos to make your website more personal and engaging or use video for social and video campaigns, we know what to do. Our video production and marketing experience make the whole process as easy for you as pulling into a full-service gas station and rolling down your window. We’ve got the rest. Think other production companies offer custom video, remote shoot options, and educational tutorials? Don’t hold your breath. 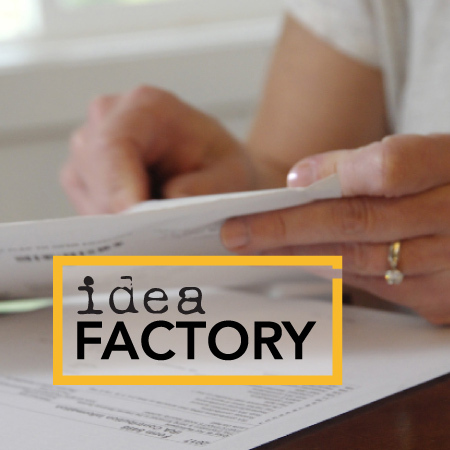 We specialize in health and wealth … meaning we know the ins and outs of compliance and HIPAA. Together we’ll help you tell visual stories and work with you to create a plan for getting those stories viewed. Let’s breathe some new life into your marketing strategy. Our unique combination of deep experience in commercial photography and broadcast journalism help us approach your story in a whole different way. We’re not just filmmakers or a production company. Co-founder Laura Garfield “reports” on herself, tough questions included. Her story is here. 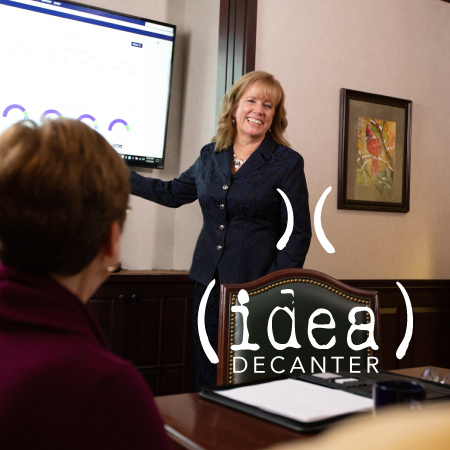 Before Sharon Gottula co-founded Idea Decanter, she had a picture-perfect career. Click for the details. When he’s not Kung Fu fighting with our editing software, Donny Pearce gives the rest of us award envy. Check out his accolades. Raised on lobster and the Red Sox, our coffee-loving copywriter Jeannie MacDonald lives on the New Hampshire seacoast. Get the Scoop. Marketing is more than pretty pictures and creative copy. You need a plan. Kalli Lipke has it covered. Here’s how.